The Australian Koala Foundation (AKF) are fighting to save koalas from extinction. Please ‘Like’ their Facebook page. Please 'Share' this message with ALL your friends and spread the word! Want to help more? Check out their website. 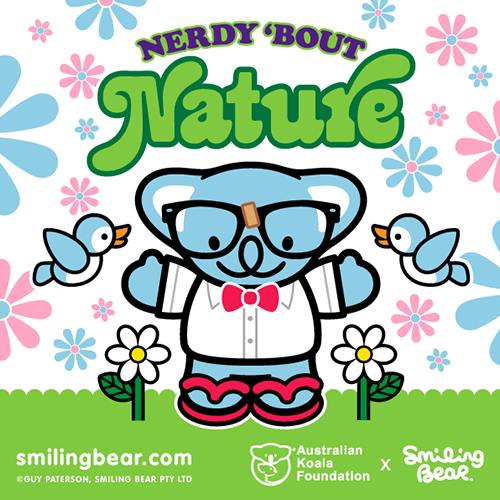 Smiling Bear is also a proud sponsor of the AKF. Australia Day is when everyone comes together and celebrates what’s great about Australia. It’s all about being thankful and proud to be a part of such a great place. 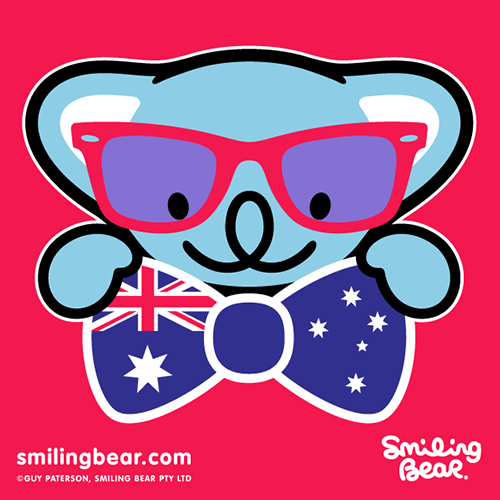 Australia Day Bow Tie – Animated Version! Was just looking at Smiling Bear's bow tie in my previous post and I couldn't resist animating it! What Are You Going To Wear This Australia Day? Australia Day 2013 is fast approaching, what are you going to wear? Smiling Bear likes to make an effort and dress up a little fancy. This years bow tie is pretty dapper don’t you think? 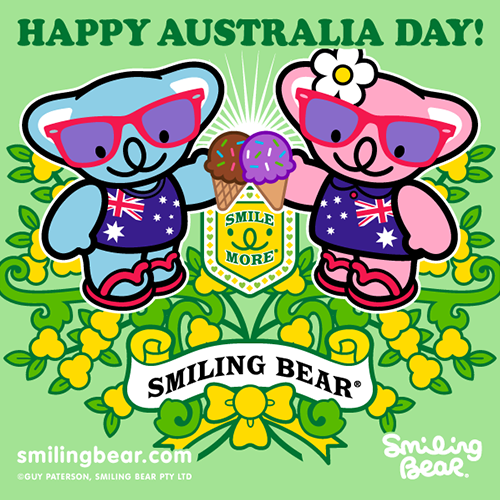 To send a personalised Australia Day card, click here. Having A Bad Day? Virtual #KoalaCuddles To The Rescue! Having a bad day? Need cheering up? Help is on it’s way! Please accept these virtual #KoalaCuddles – they’ll soon have you happy and smiling once more. Here’s a little merry mantra for ya’... Smile Happy Ha Ha! 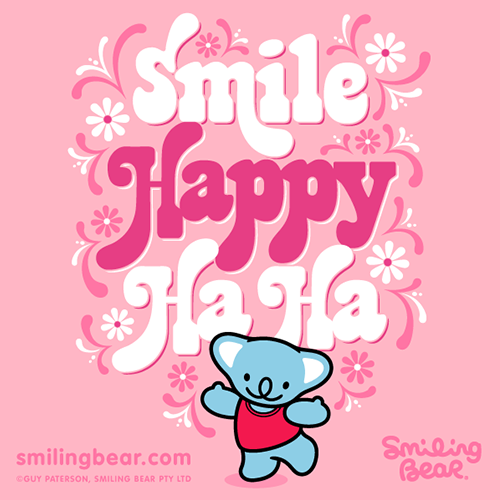 Repeat throughout the day to lift your spirits and to keep those pesky #SmileStoppers away. We’ve all got that special person who looks out for us. Family, friend or partner, you need to let them know you appreciate them. 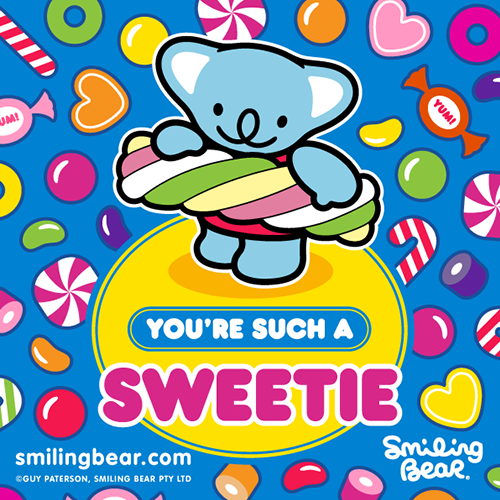 Use this image to say thank you for being so sweet. Contrary to popular belief, not all bears bite. Some sing, some dance, some even eat marmalade! 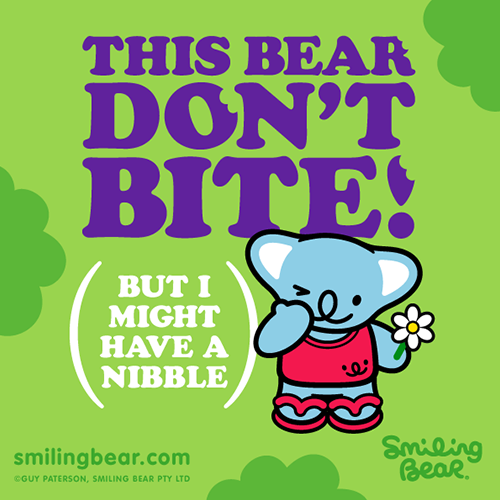 But only one bear smiles. Sizzlin’ – We’ve Got Plenty Of Sauce! Now the Australian summer is in full swing, there’s nothing like a good BBQ to get things sizzlin’. 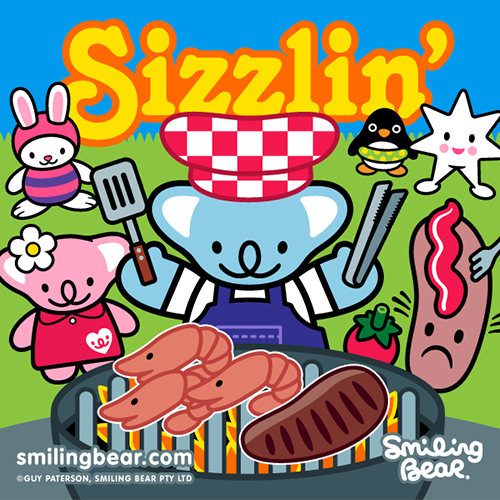 And you better believe that Smiling Bear and his buddies have got plenty of sauce!! 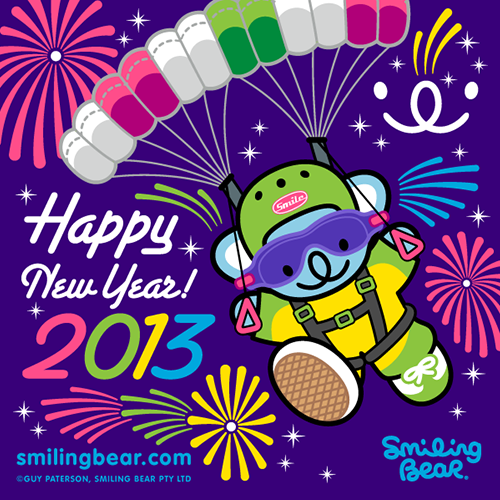 Happy New Year… 2013 is here!! 2013 is here and it’s going to be a good one... I can feel it in my fur!